The ski track is located on the lowest, South Summit (3,887. 8m) of Mount Aragats. 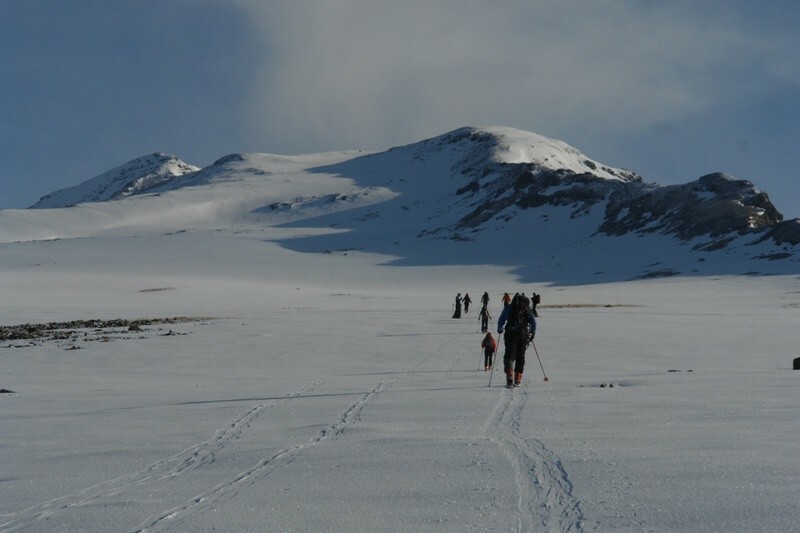 The ski run starts from the Physics Institute (the ‘Aragats’ Scientific Station) on the slopes of Aragats and continues uphill by the marked trail. Stone Lake (Kari Lich), one of the crystal-clear mountain lakes of Armenia, can be seen on the way to the Institute. Mount Aragats is an isolated four-peaked volcano massif of about 200km in circumference covering 4000 sq.m, situated in both the Aragatsotn and Shirak provinces. It has a gigantic 400m-deep crater, 3km in diameter, and 4 peaks. The northern summit (4090 m) is the highest peak in Armenia and the Lesser Caucasus. The West Summit is second with 3995.3m and is followed by the East - 3908.2m and South Summits- 3887.8m. Ashtarak, Artik, Aparan, Talin, Oshakan, Byurakan are located on the slopes or foot of Aragats. The most convenient option is Byurakan. You might stay at hotels, B&B’s and guesthouses in the village. For more information check out our database of B&B’s. Distance of the walk - 8.3km/2 hours. Take a taxi (or personal car) to get to Stone Lake (Kari Lich). Mobile connection is available up to the South Summit of Mount Aragats. In case of incidents, rescue services function in Armenia with 24/7 principle; call 911.